Giza Pyramids. One of the wonders of the world. We had arrived late evening the day before and this was my first sight of the magnificent structure from our hotel Mena House, Oberoi. Great shot, I don't think most people realize how close Cairo is to the Pyramids, nice capture of the reflection too! Gorgeous shot, Harsh.... simply wonderful! 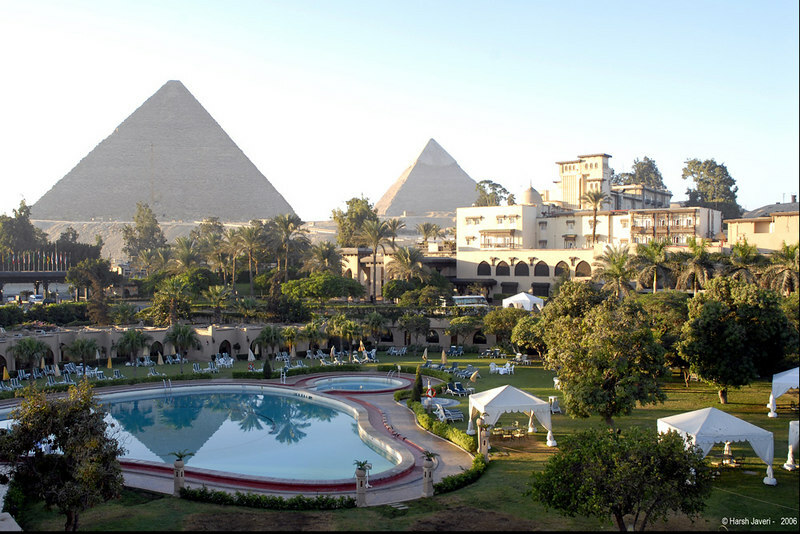 Remarkable view with those old pyramids and a modern swimming pool. You have been all over the world! Great shot and reflections in the pool. Outstanding! I want to go there some day. Great shot Harsh!